Patented DirectDigitalÃ¢Â„Â¢ Wideband Technology. 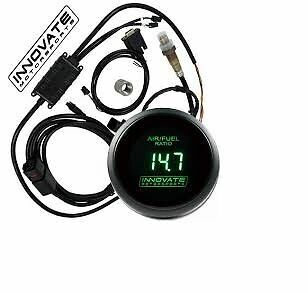 - Wideband OÃ‚Â² Compatible with ALL fuel types. Each gauge features a bright LED (available in blue, green or red). LC-2, with LSU 4.9 O2 SENSOR. - Optional sensor cable lengths available: 3ft, 8ft (Included), and 18ft.